We are a leading Manufacturer of hydraulic forging press, hydraulic press machine and hydraulic power pack from Dewas, India. We are one of the trusted names in the market to offer a highly durable range of Hydraulic Forging Press. This hydraulic forging press is mainly used in the various industries for changing and feeding applications. Our offered hydraulic forging press is tested for safety and provides a warranty for longtime use. Entire range of offered hydraulic forging presses are sturdy in construction and are technically advanced. 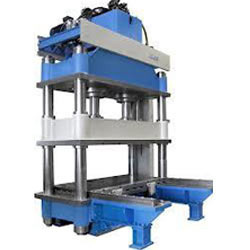 Being a customer oriented organization we are engaged in offering a quality approved range of Hydraulic Press Machine in the market. Our hydraulic press machines are equipped with micro-switch, which find wide application for traverse adjustment. 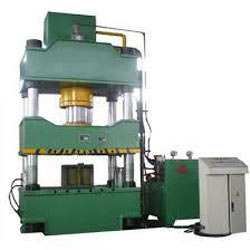 It is noteworthy that these hydraulic press machines are available in both automatic and semi automatic forms. Offered range of hydraulic press machine is made under the supervision of highly skilled professionals as per the set industrial parameters. 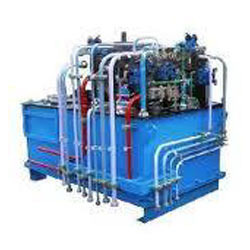 We are engaged in offering a wide range of Hydraulic Power Pack to our clients. This machine is mainly used to generate force, which can be used for industrial purpose. This machine is surely reduce mechanical power. The offered range of product is made from high grade quality raw material to meet the international quality standard. These machines are manufactured under the supervision of the best quality experts using advanced technology. We are one of the leading manufacturers and suppliers of one of the primary equipment of the industrial sector namely Hydraulic Forging Press. This machine uses hydraulic force for forging press activity. From custom built presses to standard equipment, with Hydraulics we are getting the most reliable and efficient forging presses in the industry. The vast range of Hydraulic Forging Press brought forth by us is offered to the clients at leading market prices. The machines are robust and use high end hydraulic systems to achieve extremely fast speeds of operation. 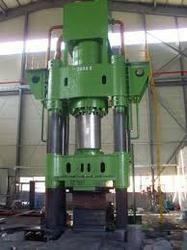 Hydraulic Forging Press which in turn making use of some common methods like hammer, press and die forging. We are availing our clients with timely deliveries of these products at market leading prices.